As you walk in to one of our one or two bedroom apartments at Juncture, soak in the modern elegance that will greet you at the end of every day. Each area has been designed with added features and finishes that create a functional and beautiful home – from the spacious living areas, to your chef-inspired kitchen, and spa-like bathroom. We’ve listened to what you crave for in modern living with that elegant twist and created homes that exceed those desires. Juncture will inspire you on a daily basis. With a variety of floor plan arrangements to choose from, we are sure you’ll be able to find the one or two bedroom apartment that best suits your needs. Those looking for space for one can choose between 12 floor plans, ranging between 838 to 1,194 square feet of living space. 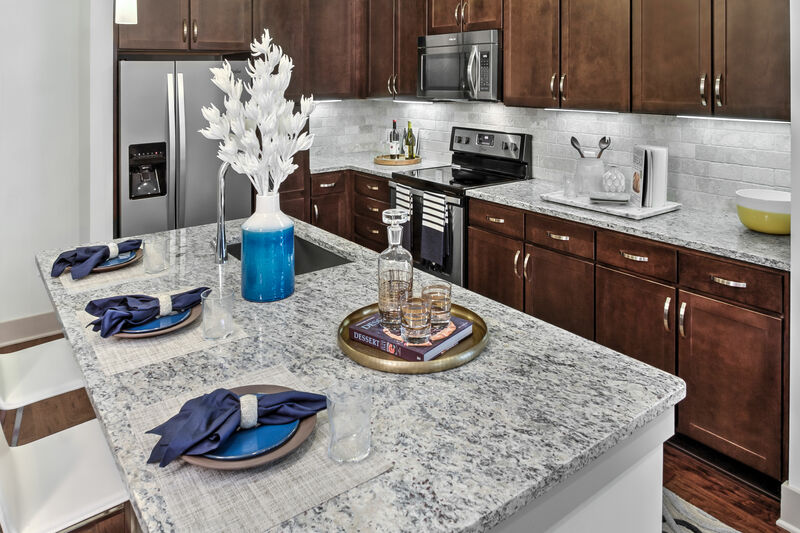 Our two bedroom homes have 15 different arrangements to choose from and are between 1,097 and 3,180 square feet. 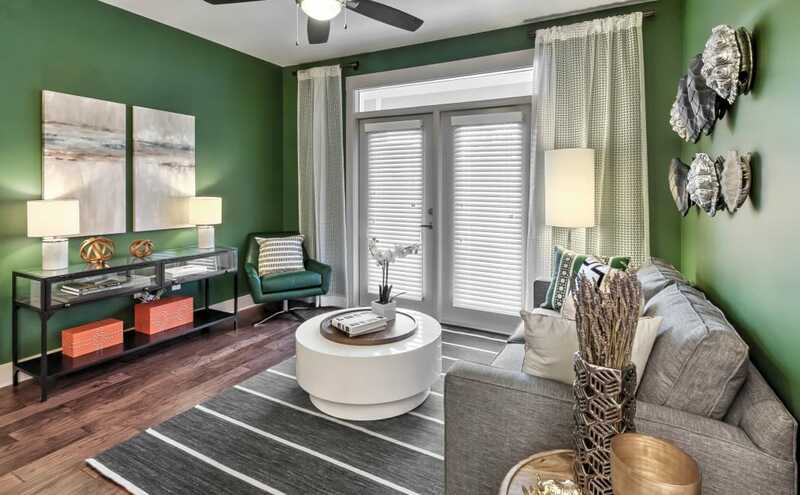 Regardless of which floor plan you choose, you will have the same luxe finishes and thoughtful spaces, like private patios, granite and quartz kitchen islands, and spa-inspired bathrooms.